The dollar rose today in the exchange markets, closing at 43.60 pesos per US greenback – a new record high under the Mauricio Macri administration. 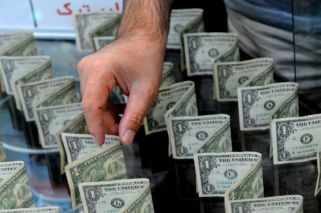 It was the sixth consecutive day's trading in which the value of the national currency has depreciated against the dollar. The US currency closed at 43.60 pesos to sell at Banco Nacion, which usually has the best exchange rate, with 41.60 pesos buying you a dollar. For its part, the wholesale dollar rose 1.33 percentage points, closing at 42.64 pesos/dollar to sell and 42.44 pesos/dollar for the purchase.